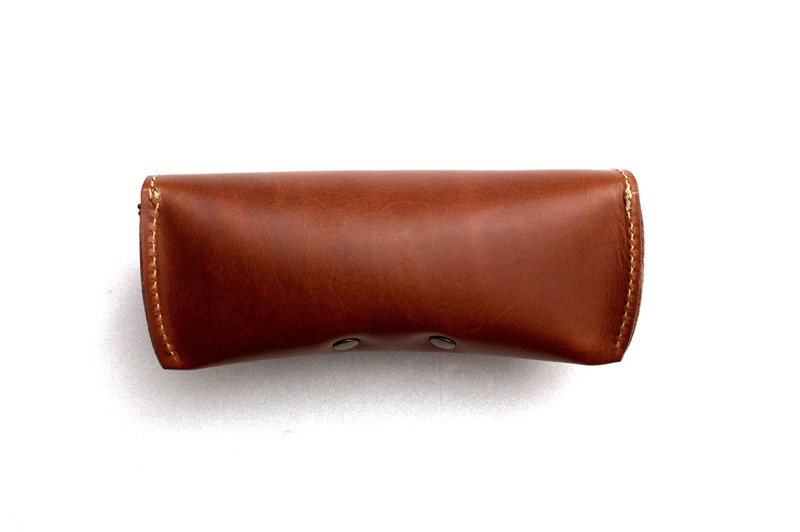 This is a genuine Celyfos® handcrafted, supreme quality leather eyeglass soft case. Made from Italian 4 oz. (1.6mm thick) soft bovine cowhide distressed look. Roomy enough to fit almost any size glasses in the market. 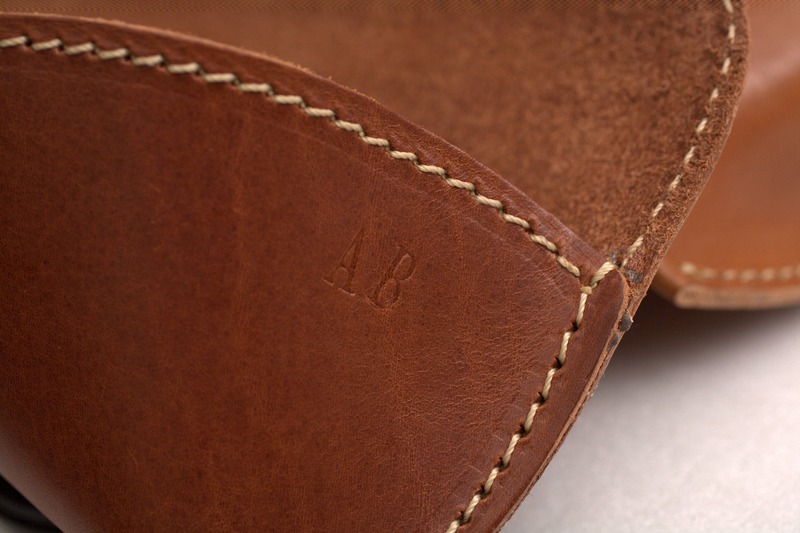 -Soft leather nose bridge support. -Heavy duty Japan made snap button & rivets. 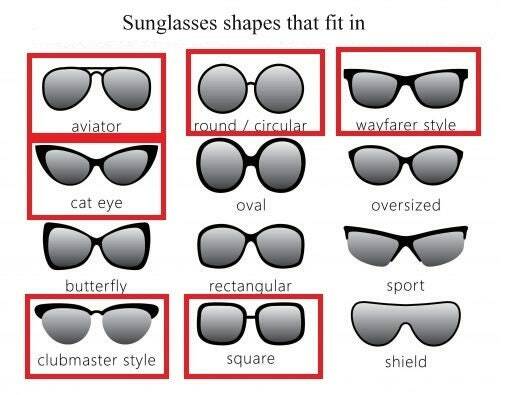 -Fits most eyeglasses sizes : Wayfarers, Clubmasters, Persols, etc. and all brow-line type of frames. 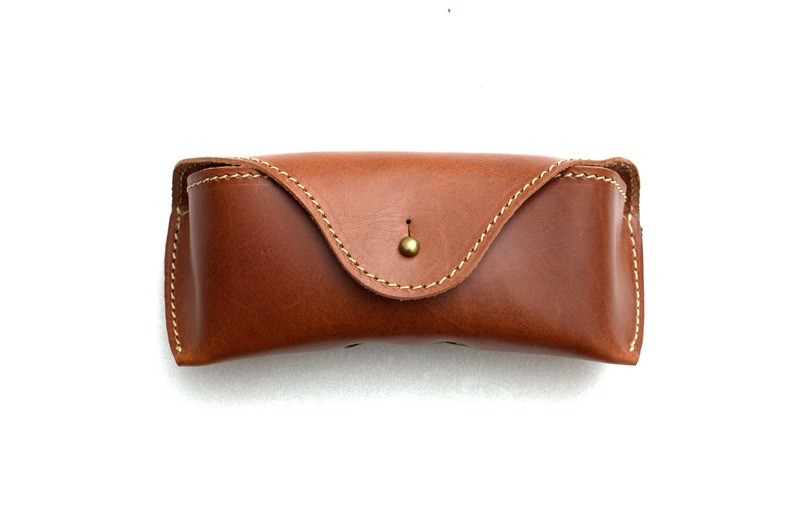 -This case is the most economical and affordable of our series. It comes WITHOUT OUR UNIQUE CRUSH PROOF SYSTEM IN THE NOSE BRIDGE AND WITHOUT DOUBLE LAYERING ON FRONT THAT ALL OUR CASES ARE WELL KNOWN FOR. 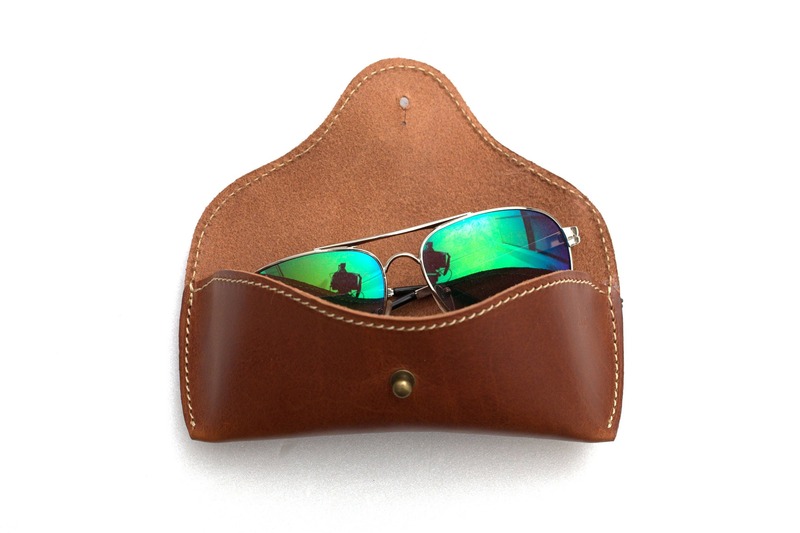 However the case is sturdy enough to last a life time ! Nice item made with quality construction. Thank you!